Kathleen had been working in retail for a number of years. She enjoys the interaction with customers but the typical retail shop was simply not stimulating and always failed to impress her. 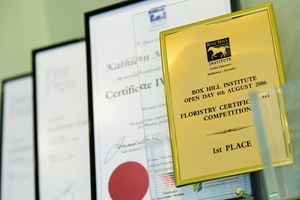 Kathleen took a leap of faith and started an apprenticeship and trained at Box Hill Institute, where she got involved in the student competitions and found her passion in floral arrangements. Having completed Certificate III as an apprentice, Kathleen did not want to stop there. She took on further study and completed a Certificate IV. Adding to her accomplishments, Kathleen has participated in more competitions at national level and had great success. These competitions have given her great experiences and kept her skills fresh and sharp over time. 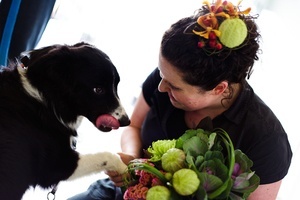 Kathleen has truly enjoyed working at every Florist shop she has ever been working at. Each role has nurtured and given her invaluable experience. This has become not just a career, for her, but definitely a passion and a lifestyle. She loves this industry wholeheartedly and aims to bring consistency of quality and service to her clients. 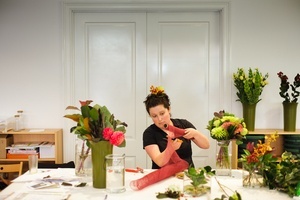 As a 10 year veteran of this beautiful industry and a trade that she is most passionate about, Kathleen has developed and honed her skill for Weddings, Corporates and Events. 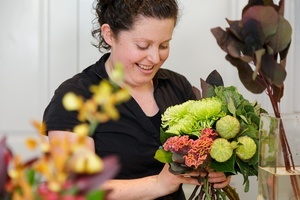 Having worked with Melbourne's more prominent florists, including Panache in Hawthorn and recently at In Full Bloom in South Melbourne, Kathleen considers herself to be lucky to do what she loves and get to be part of special moments in her customer’s lives, from milestones of birthdays, marriages and choosing that perfect way to celebrate the life of a loved one. Kathleen is passionate about getting involved in her community, especially East Ivanhoe, a small but solid strip of shops and business tha­t are interested in the wider community. Her wish for her store to be like 'A Breath of Fresh Air' or a mini break for anyone who visits. Stepping into her store, you will find the colours of flowers will be pleasing to the scenes against green, cream and wood interior. The music will be playing as arrangements are made. Kathleen is there to help decorate moments to celebrate or, 'Just Because' and always makes sure that all her clients are welcome with a smile.